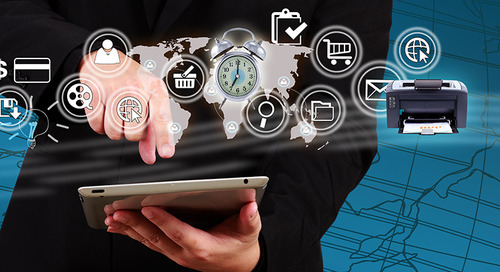 With the announcement of S/4 HANA and all the benefits that it brings, ALL SAP customer should be asking themselves how they plan to evolve their SAP Business Suite investment to S/4 HANA. 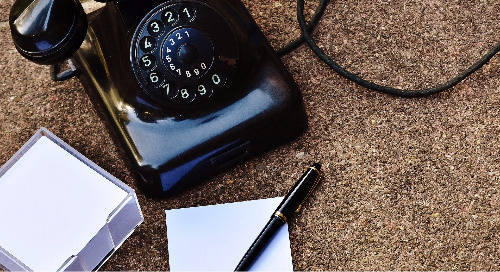 In this blog I will share some common patterns I have seen with the customers that we have helped with this transition, which I hope will help you to build your roadmap to S/4 HANA (or at least to EhP7). I am on a burning platform. I am missing out on new features that I am paying for. I need a platform to support Digital Transformation. As messaged by SAP since 2012 support for NetWeaver Java 7.0x ends in 2017 and this should prompt ALL customers to review their landscape now. It is also worth reviewing the support horizon for the Operating Systems / Databases running under the SAP system to find out when support end. Because of the above SAP have created a NetWeaver Hub Strategy, which encourages customers to upgrade NetWeaver systems to at least 7.31, core ERP to Enhancement Package 7 and other applications to EhP3 (see Note 123213 – requires SMP user). It should be noted that it is possible to get exceptions to the above NetWeaver Hub Strategy where upgrading the whole landscape at the same time is not possible or where systems will be decommissioned before support ends – SAP will evaluate your unique usage scenario and grade it Green (within guidelines), Amber (outside guidelines but supportable for a defined period) or Red (not supported), – this can be requested via SAP Support. The upgrade process should be seen as an opportunity to simplify your landscape with opportunities to remove dual-stack systems (e.g PI/PO), merge / decommission systems (e.g Portal / BW), remove modifications, re-think integration and cleanse / archive data. The maintenance fees you pay to SAP each year are used to add new features / products to the SAP software portfolio. In the majority of cases these features are ONLY added to the latest releases. This means if you do not upgrade / migrate you are not taking advantage of these features. 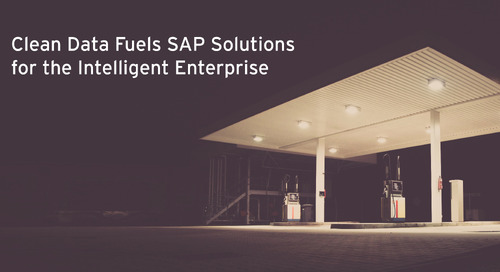 Some examples would include many of the Fiori Applications, the HTML version of Screen Personas (due to GA Q2/2015), Self Service Procurement in ERP and new user interfaces for Plant Maintenance. 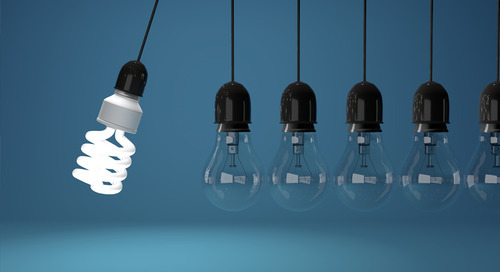 To find all the enhancements available see SAP Improvements and Innovations – requires SMP user, this links to the Innovation Discovery Tool – requires SMP userand documents that summarise what is available. 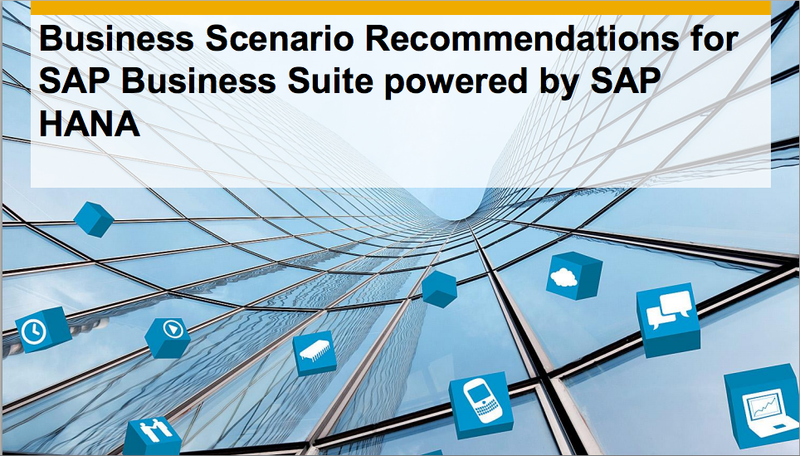 On the same page you will find the Business Scenario Recommendations for SAP Business Suite powered by SAP HANA – requires SMP user, not a catchy name but a free service from SAP that will give specific advice (based on your usage) about which parts of your system would be improved using SoH (and S/4 HANA). You can see an example report here. 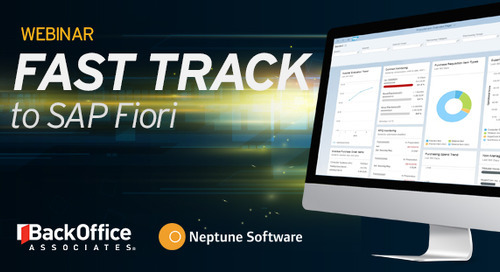 This increase in features also applies to the NetWeaver components (e.g BW, PI/PO, Portal etc) which are constantly being improved, to see these features you should look at the what’s new section of the product on help.sap.com. The gateway to the next generation of SAP innovation and the new business models it enables is getting to ERP EhP7 (EhP3 for other systems). From this waypoint you can move to Suite on HANA and then to S/4 HANA as the Exchange Innovation modules are rolled out (Simple Finance now, Simple Logistics in Q4/2015 with further Exchange Innovations planned for 2016). 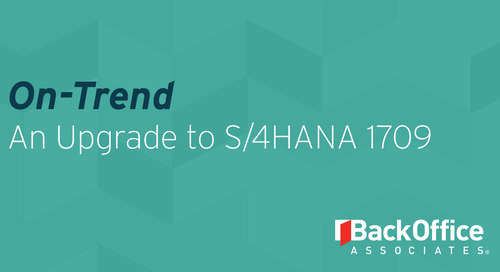 The benefits of this native HANA system are well documented in this blog by Sven Deneken. 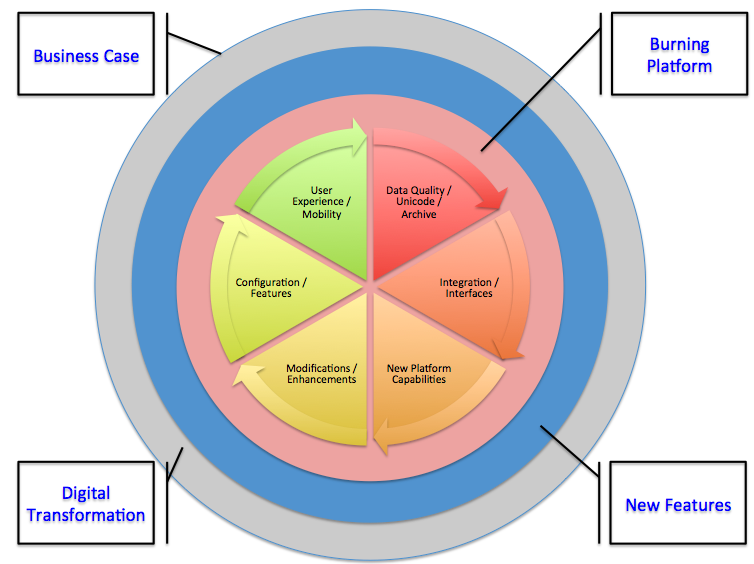 Using this model you can build the business case in a stepwise fashion that will help you to decide if you want to move to EhP7, Suite on HANA or S/4 HANA. Even when you have decided on your target, you don’t have to do everything at once, but you do at least need to get onto EhP7. 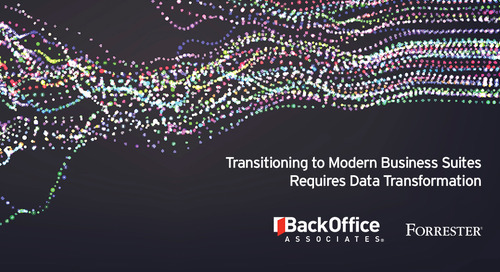 SVP SAP Digital Transformation at BackOffice Associates. Any new system is only ever as good as the data you put in. 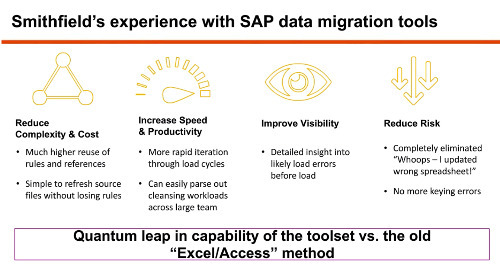 So how can you plan and execute a data migration without these risks? Learn a best approach for transforming data that accelerates a move to SAP S/4HANA while reducing risk and cost. Significantly reduced overall time involved in the energy switching process. As AI becomes more embedded in workplace processes and bots, it will learn on the job and eventually become more independent, leading to more autonomous ERP systems. 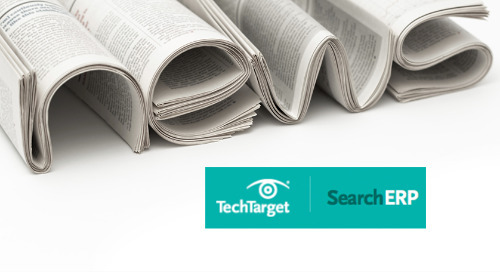 Webinar presented with Forrester Research. SAP Mentors discuss their insights on customer journeys to SAP S/4HANA. 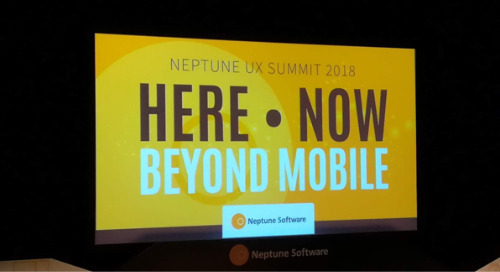 The 2018 Neptune Summit was all about APIs and how Neptune empowers companies to expose their data for consumption across different technologies/devices. 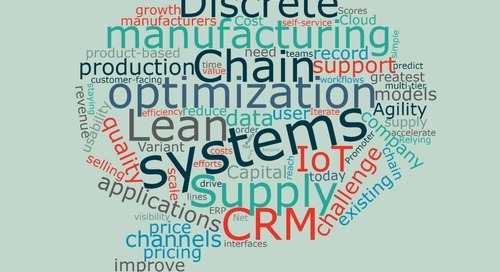 One big area, that is now relevant and trending among customers, is Cloud - in particular, how and whether it will develop and support the requirement of discrete manufacturers. Webinar presented by BackOffice Associates. 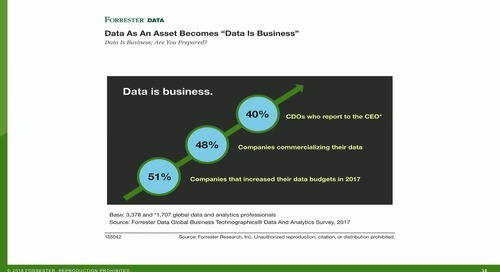 Presented by Forrester Research and BackOffice Associates. 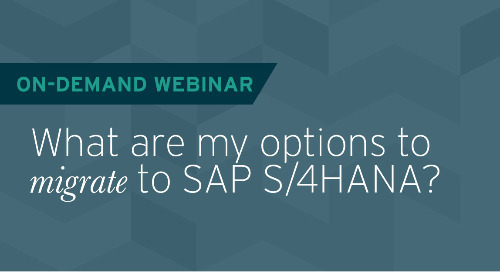 What are my options to migrate to SAP S/4HANA? While 7 years may seem like a long time, complex migrations need plenty of runway to plan and execute. 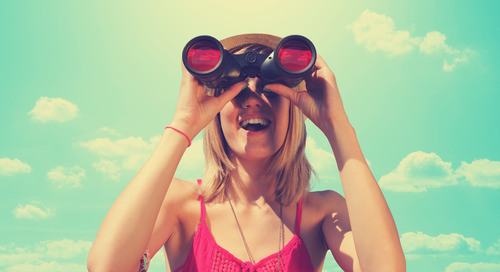 You really should be starting to plan your roadmap this year. 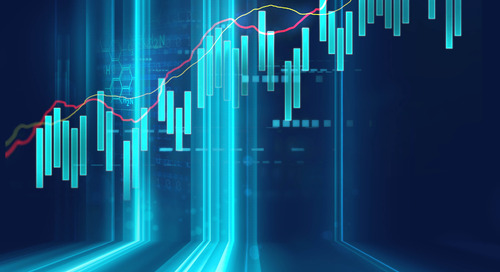 The trend toward the increased use of real-time analytics will eventually impact all lines of business, and the organizations that grasp it first will reap the benefits of a competitive advantage. 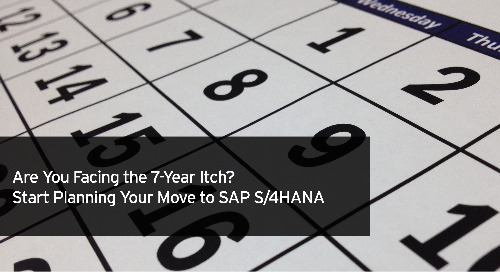 Gain a clear roadmap to S/4HANA based on your unique business needs.